Inspiring Derbyshire Olympian Elllie Koyander has thrown her support behind the Games-themed competition offering great sports prizes we reported HERE recently. For Inspired by the Games, Active Derbyshire wants to hear great stories from people who, having been 'wowed by Wiggins' or 'energised by Ennis', have taken up or tried a new sport or physical activity and have made plans to keep it up in the future. Chesterfield-born Olympic mogul skier Ellie - a London 2012 torchbearer (pictured left with her Olympic Torch) who competed at the 2010 Winter Olympic Games, has been spreading the spirit of the Olympics in local schools as part of her 'Inspired by an Olympian' campaign. She said sport and physical activity could be a powerful life changing experience., "I watched the Turin Winter Olympics in 2006 and was completely transfixed! Four years later, I was an Olympian representing Team GB and the youngest British Mogul skier to ever compete at the Olympics!" Ellie, who is currently working towards the next Winter Olympic Games in 2014 Sochi, Russia, went on to say, "I hope my story, and those of the world-class athletes who have competed this Summer, will inspire people to take up a new activity and challenge themselves to keep going. "There are so many advantages to becoming more active - and you don't have to be a competitor to reap the benefits." Entrants are in with the chance of winning great sports prizes including £100 sports vouchers and family cycle hire sessions at Rosliston Forestry Centre and Peak Cycle Hire Centres. There are two prize categories; one for individuals and one for families. 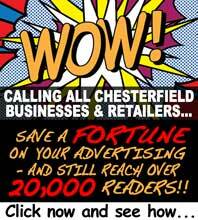 Thanks to a generous offer from Derby Runner, all valid entries will receive 20% off at the Spondon-based running specialist store. Derby Runner have also supplied one of the winners' prizes; a £50 store voucher. Angela Kirkham, Active Lifestyles Development Officer at Derbyshire Sport, leads Active Derbyshire, a campaign to encourage Derbyshire residents to become more active. 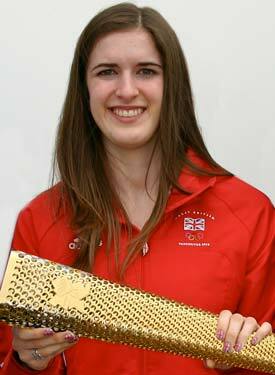 She said, "We are delighted Ellie is able to support our competition as an inspiring Olympian and amazing athlete." If you've been inspired to become more physically active, the Active Derbyshire website is packed with information about activities in your local area and across Derbyshire, plus inspiring stories, active news and features which help you log your activity and track your weight. Visit www.activederbyshire.co.uk. The closing date for entries is Friday 28th September.